Perfect for an active lifestyle, waterproof eyeliner keeps the eyes defined whether it be during a dip in the pool or after a lap around the track. There are many reasons to stroke on a waterproof eyeliner. Most women know the disappointment of smudged eye makeup due to inclement weather. 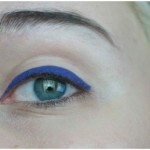 Many special occasions and activities are perfect for waterproof eyeliner. If you want to forgo the streaks, smudges, and disappearing acts of a traditional eyeliner, test the waters with a waterproof blend formulated to keep the coverage throughout your active day. Gone are the days where a waterproof eyeliner appeared unnatural. Don’t worry about flaunting a drawn on eye, there are several blendable waterproof eyeliners on the market that can create a very natural fresh look while keeping makeup in place. Waterproof eyeliner has come a long way, and most cosmetic companies have included additional waterproof cosmetics such as waterproof concealer, waterproof mascara, and waterproof eye makeup to their product line to meet the demands of active lifestyles. Long wearing eyeliners are available in all different types of formulas for specific application needs. Liquid, pencil and kohl varieties are available as well as smudgeable formulated liners that allow for light blending and shading techniques. Shop drugstores and department stores for a variety and a color that works for your individual needs and palette. While waterproof eye makeup can solve many cosmetic dilemmas, it’s important to note that getting the product on is just as important as getting it off. Long wearing eyeliner takes a powerful makeup remover to completely remove itself gently and effectively. Neutrogena’s Oil Free Eye Makeup Remover is a great, inexpensive cleansing product that will remove all waterproof cosmetics in a single, simple stroke. Another great cleanser to try? Laventine’s oil based cleanser thoroughly removes all types of waterproof and regular cosmetics, while imparting condition and a dewy smooth glow to your skin. Rest assured that oil based cleansers will not make oily skin any oilier. In fact, there are studies that prove that oil based cleansers can actually improve the skin’s natural oil production, benefiting oily skin types. Give them a try! Tip: Always be gentle when cleansing the tender eye area. Lashes are extremely fragile and break very easily. Always use an eye makeup remover prior to cleansing skin. 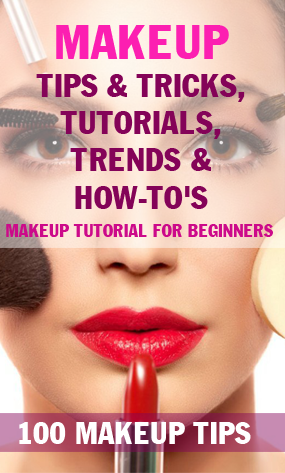 In addition to waterproof stay put cosmetics, some women delve into the world of permanent cosmetics as a method of keeping their makeup and eyebrows permanently applied. A skilled tattoo artist can tattoo eyeliner and eyebrows to your skin so that eyeliner never needs to be reapplied. 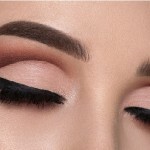 Although certainly not an option for everyone, it sure is great to know there are additional options for those seeking permanent eye makeup ideas. As with any type of tattoo, make sure you’ve thoroughly considered the pros and cons of this type of procedure prior to making the tattoo commitment. Most cosmetic retailers and specialty stores carry waterproof cosmetics. If you go the route of sweat proof eyeliner, why not create waterproof lashes as well to seal the deal? A favorite amongst makeup artists and consumers alike, Maybelline’s famous Great Lash Waterproof mascara is available in a waterproof variety. In addition, gel blushes and cheek tints stain the skin, making them somewhat waterproof, increasing their wear. Long wearing lipsticks and lip liners are also available to create a kiss proof pout. This summer, don’t sweat your daily makeup routine. Just layer on waterproof color for weather and water friendly beauty that lasts all day!